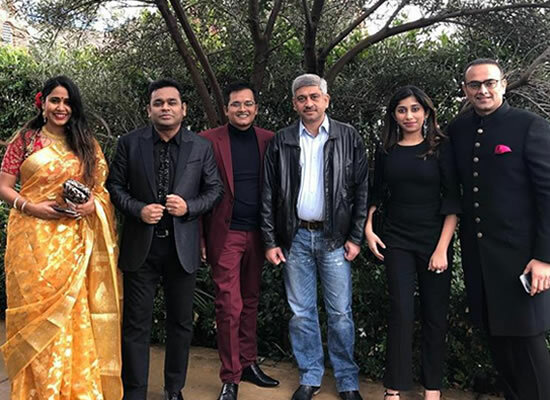 AR Rahman to attend the Grammy Awards 2019 with family! The 61st Annual Grammy Awards are being held at the Staples Centre, Los Angeles, California. Alicia Keys is hosting the biggest awards show which has seen a galore of celebrities including Cardi B, Lady Gaga, Miley Cyrus, Drake among others grace the red carpet with the dazzling appearances. Music ace AR Rahman is also in attendance with his family members at the awards ceremony. Rahman took to Instagram to post a few inside photographs from the 61st Annual Grammy Awards wherein he is seen donning a black shirt paired with black pants. He even shared images of his daughter Raheema Rahman from the event and we are in awe of this little one too. The 52-year-old Rahman also shared a few inside pictures from the performances and more on his Instagram handle.